Well I'm happy to say that my Vegan Thanksgiving went perfectly!! Well, OK, not really. I guess it depends on your definition of perfect. Martha Stewart perfect? No way. But "Kathy perfect" in the end? Oh yes. The high pressure day cluttered with sideline errands, missing ingredients and kitchen tools, lack-o-real-dining-table yet (a la moving in scenario), makeshift serving platters and "a very late start to cooking" may have been ingredients for disaster. But holidays always seems to turn out OK when you are surrounded by loved ones. That "perfect" snuggly moment surfaces. And suddenly, "perfect" has a new definition. More Thanksgiving recap and my Black Friday "Detox" Smoothie Recipe ahead!.. ..The day leading up to the described bliss was well, pure chaos. Mainly because we spent the morning continuing some "moving in" errands and I really didn't think I would be able to pull off a feast! But I scooted myself into the kitchen at around 4pm (yup, that late) and whipped up a gorgeous feast that I was pretty darn proud of. That's the great thing about vegan food - you can literally make it in just a hour or so if you have a good plan in order! The Chaos? The stuffing mishap. You can read all about it here. 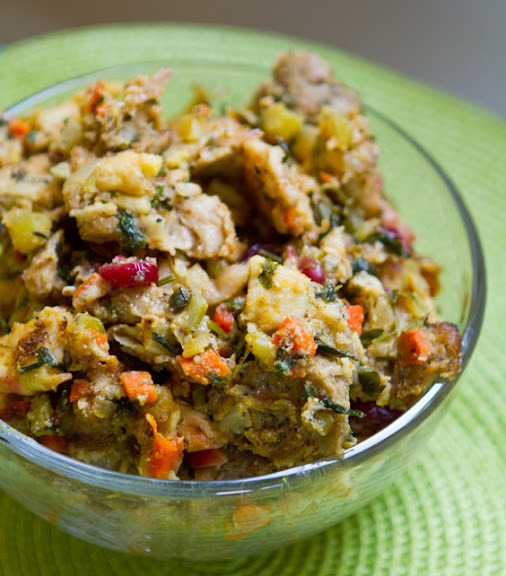 But it worked out in the end as you can see from the delicious stuffing photo above... Pita Bread Stuffing anyone? Stuffing "Disaster" story and recipe deets here. 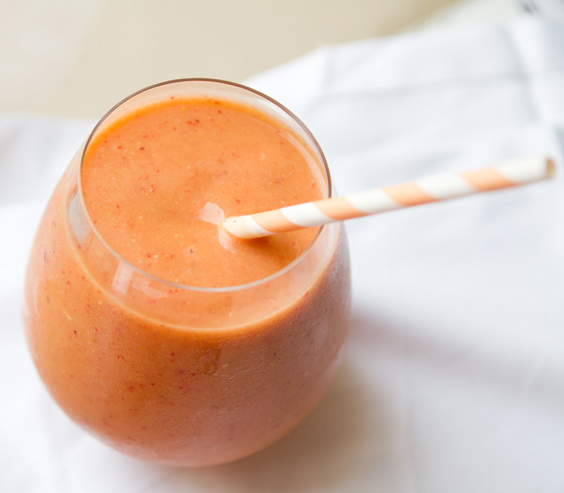 Grapefruit-Cado Smoothie. 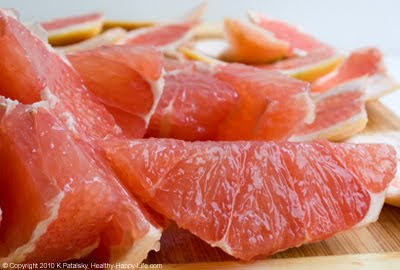 And lastly, this morning I was craving a detox smoothie. Luckily I had just crafted this recipe for the Dole Nutrition Newsletter. 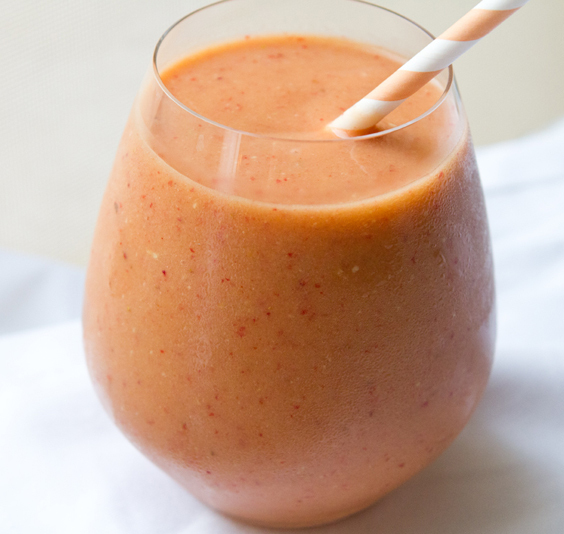 A tangy-tart-sweet blend of creamy avocado, zingy grapefruit juice, strawberries and comforting banana. I loved this blend and it was an ideal way to start :"Black Friday." Rich in fiber, healthy fats from the creamy avocado, potassium, vita C and more. And be sure to sign up for Dole's Nutrition News Newsletter. It is packed with nutrition tidbits, recipes and more. I love it. (And my recipe will be in the next issue!) You'll receive a monthly email filled with healthy facts, nutrition findings and the latest nutrition news from top resources. I've been a newsletter subscriber for years now. Sign up at Dole's website. So how did YOUR Thanksgiving go?? Any crazy mishaps or fun stories?? Vegan recipe success or even those nasty failures? Dole Nutrition. Want more Dole inspiration? 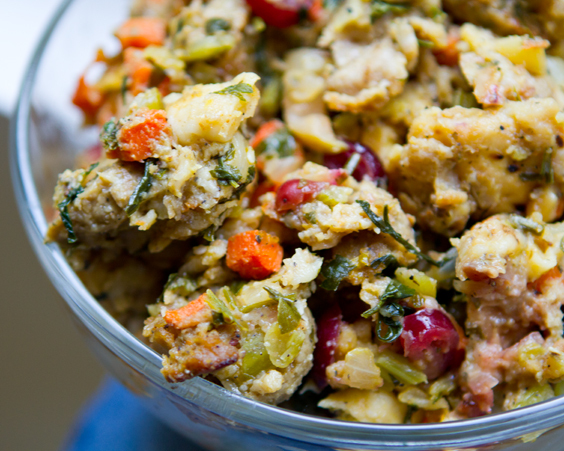 Be sure to check out my past posts..
more of my "mistake-gone-great" pita bread stuffing..